This is part of our guide to monitoring in the UK. This page explains the rules for product labelling. 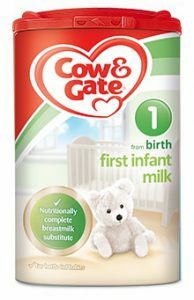 Neither the container nor the label should have pictures of infants, nor should they have other pictures or text which may idealise the use of infant formula. The UK law (regulations 17 and 18) is similar to the International Code, although it allows approved health claims to be used on labels of infant formula if the associated requirements are met. These are given in a list annexed to the law. 19. Infant formula and follow-on formula shall be labelled in such a way that it enables consumers to make a clear distinction between such products so as to avoid any risk of confusion between infant formula and follow on formula. 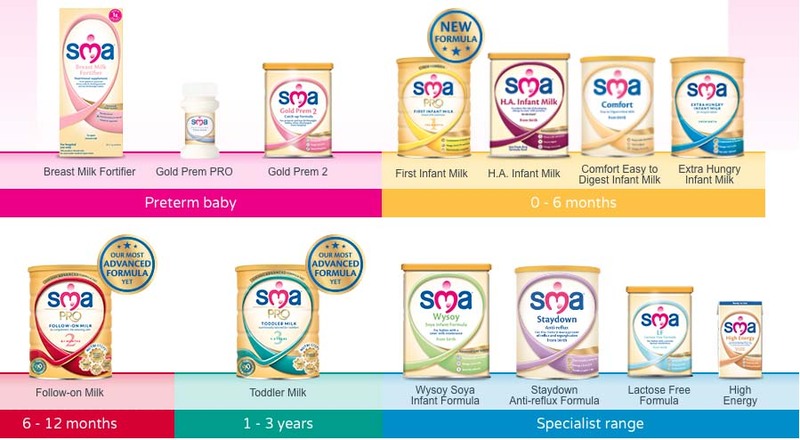 Despite this, the labels for infant formula, follow-on formula and other infant and young child feeding are almost identical as companies design them to be cross-promotional. Nestlé’s 2016 SMA range is shown below. 51. 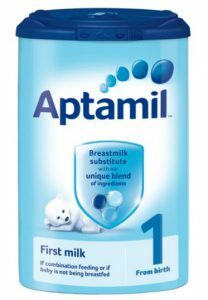 … the specific terms ‘infant formula’ and ‘follow-on formula’ should be clearly featured on the packaging, in a font size no smaller than the brand name. The Guidance Notes require warnings on powdered formula that it is not sterile and instructions on how to reduce risks of possible contamination. As with the Code and Resolutions, idealising text and images on labels are prohibited. 30 & 31… infant formula shall not include…. any other picture or text which may idealise the use of the product… Pictures of infants, young children or carers (e.g. mothers or fathers)…. Graphics that represent nursing mothers and pregnant women…. Baby or child related subjects (e.g. toys, cots or young animals) and anthropomorphic characters, pictures and logos. Again, companies disregard the official interpretation of the law. Nestlé’s SMA logo, above, incorporates a stylised breastfeeding woman and heart. Danone uses a shield on Aptamil, a heart on Cow & Gate and young animal figures on both.